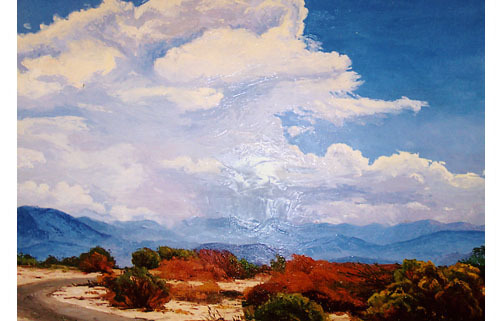 The Smoketree School is indebted to San Diego for the landscape painters who wandered through Ramona and Julian all the way to the desert country. Two current exhibits at the San Diego History Center offer a chance to get acquainted with our shared heritage. 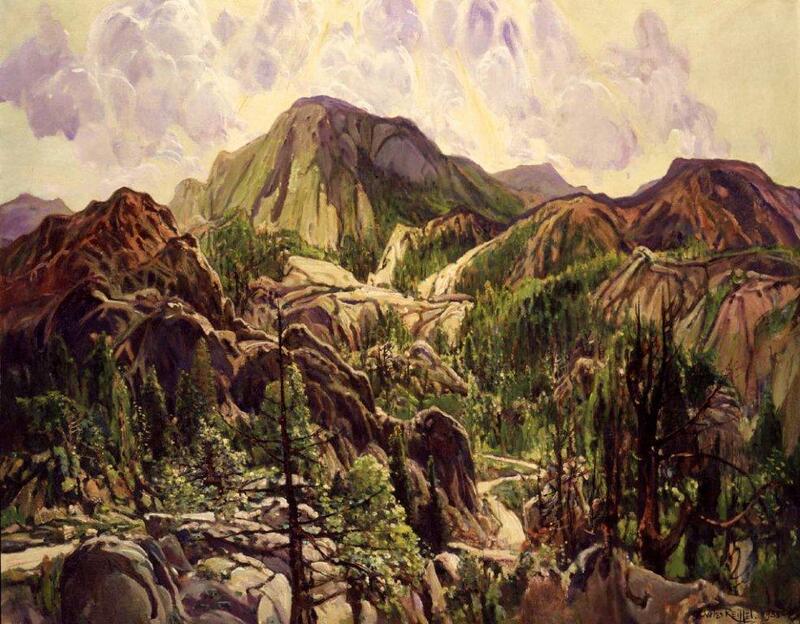 In Landscapes Rediscovered: Depression-era San Diego Paintings, work unseen for 70 years is now on display. While in the collection of the San Diego Unified School District, the paintings had been dinged and exposed to the elements. With all their blemishes, works by artists such as Charles Reiffel and Maurice Braun (both painted the desert) are on view. A twin exhibit, Creating an Artistic Basis: Local Artist Groups from the Early 20th Century” includes 40 pieces by San Diego’s most famous painters. Braun and Reiffel are here, along with Belle Baranceanu, Edith White and more. Several distinct schools are highlighted including the Great Depression and WPA era and the Point Loma Theosophical School—significant to desert art fans because of Theosophy’s influence on artists such as Agnes Pelton. In Palm Springs, the venerable Desert Art Center kicks off its season on October 5th, with a Meet the Artists Reception. 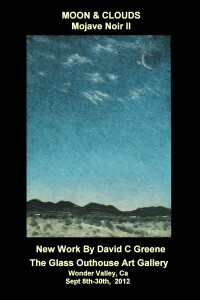 Founded in 1950, the Center operates as an artists’ co-op and embodies the communal values of the early desert painters. The Joshua Tree National Park Association continues to nurture new desert artists with its annual series of classes, including plein air painting with Diane McClary and drawing the desert with Diane Best. If you are heading toward 29 Palms and beyond, be sure to see David Greene’s latest efforts in his campaign to conquer the desert night. From 29 Palms, head east on Hwy. 62. Gallery is approximately 3.5 miles east from Utah Trail light on the right at Thunder Road. HI Ann, Hope all is well. Are all of the first mentioned shows in the same place, Balboa Park? Hi Lou, Yes they are in Balboa Park. There’s also an exhibit on Charles Reiffel (desert painter and “The American Van Gogh”) opening November 10, 2012, at the San Diego Museum of Art–another reason to go to San Diego.